HubLink’s SOS feature allows users to rapidly notify other users about substantial maritime disasters. Examples would include well-control emergencies, platform fires, persons overboard, vessels in distress, and other emergencies that pose significant risks to people, property, and the environment. Depending on which is the case, select "This is a drill" or "This is a live emergency" from the dropdown menu. As the note indicates, when you submit the form all HubLink users will be notified. Using the feature for drills is acceptable and encouraged. Just make sure you select “This is a drill." Posting false, live emergency notifications, however, is a federal crime that carries penalties of up to six years in prison and fines of up to $250,000. 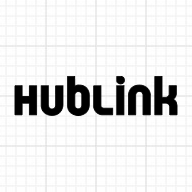 Any HubLink user who submits a false, live emergency SOS will have his or her account immediately suspended and name reported to the US Coast Guard. John Doe at XYZ Marine submits the following SOS message: "There's an incident at Port Fourchon. All available marine assets respond." Mark Doe at ABC Marine receives it (along with all other HubLink users). Mark replies to the message: "We're sending the SS HubLink now." John sees Mark's message in his notifications. It's our hope this will allow the HubLink user community to communicate rapidly in the event of an emergency and run drills more efficiently. Going forward, we're planning to further enhance the SOS feature. First, we'll allow users to identify the location of the emergency, plot nearby maritime assets on a map, and give the user the option to target only those vessels (vs. all HubLink users). Second, we're planning to build an API-based notification feature that will allow entities like the Coast Guard and non-HubLink users to receive emergency notifications. In addition to improving the USCG’s current spreadsheet-model, it’s our hope this will streamline the current options available to industry professionals for reporting and responding to maritime emergencies.